Starting from Rome to reach Slovenia, this year we decided to not do an all-out 10 hours travel (hey, it’s a holiday! ), so we stopped on the Lake Garda, like the previous years.Every year we try to visit new places, so no more Gardaland, only cultural trips for us. We started with the history and art of our century, visiting the Vittoriale degli Italiani, before moving to the Ancient Roman style of the place called Catullo Caves. 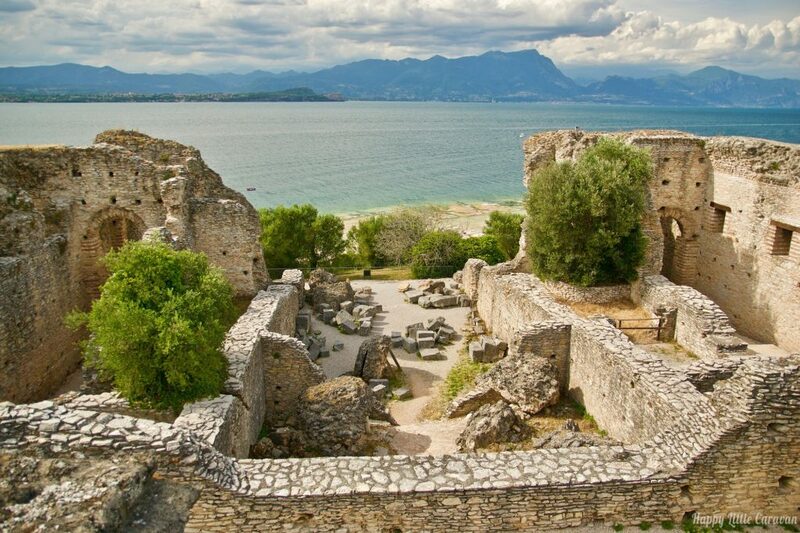 These caves are an archaeological site located at the end of the beautiful Sirmione peninsula, on Lake Garda. 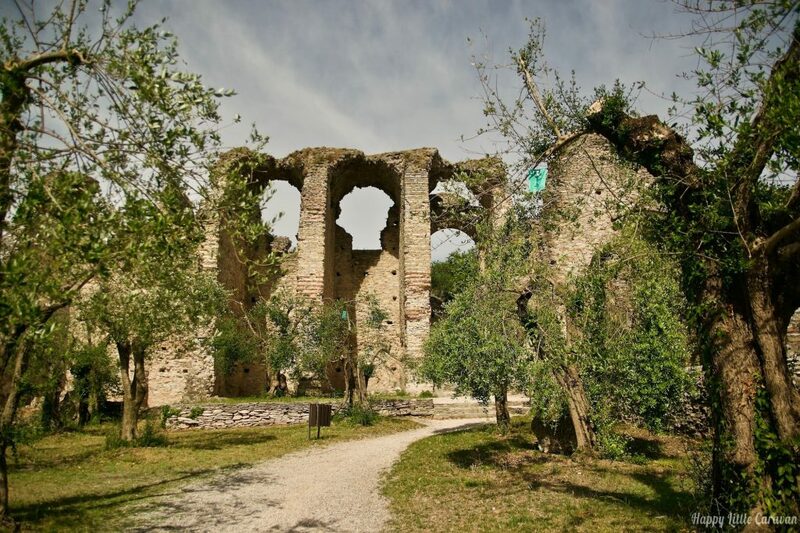 The site hosts the ruins of one of the biggest Roman Villas of Northern Italy, always known: its name “Catullo Caves” goes back to the 15th century. 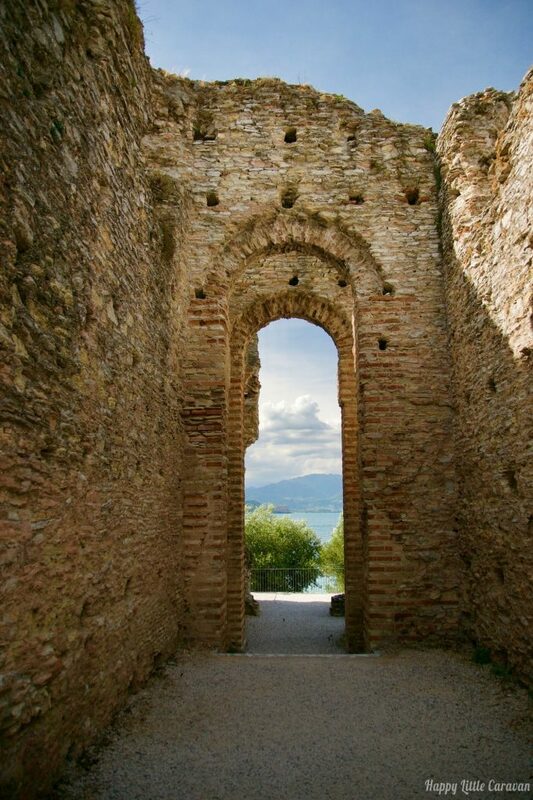 During this classical period, Catullo’s poems was back in style and, thanks to some poetic verses for Sirmione, the ruins’ area (still partially underground so it seemed really like a cave) took the name “Grotte di Catullo”. The ruins were already known and included in some fortifications, but started to be studied only in the early nineteenth century. The full excavation and restoration started only in 1939; according to Wikipedia, in 2013 this site was the 27th in terms of visitors in Italy! 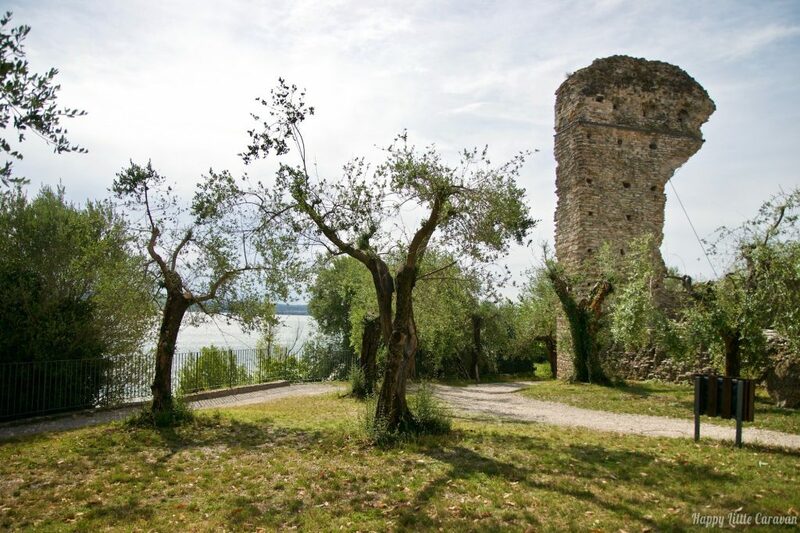 In addition, the archaeological site hosts the Sirmione archeological museum, that exhibits artefacts from all over the Country, including the rests found next to some underwater stilts along the coasts of Sirmione and near to the Catullo Caves, and other artefacts from historical sites of this area. The Catullo Caves are one of the most beautiful roman archaeological sites we ever visited, the second after Ostia Antica, but very cared and extremely accessible for visitors. Having the lake as a background, due to the villa overtaking it with a 359-degree view, makes this experience truly pleasant. The site is so big that you can enjoy it even if it’s too crowded by tourists. 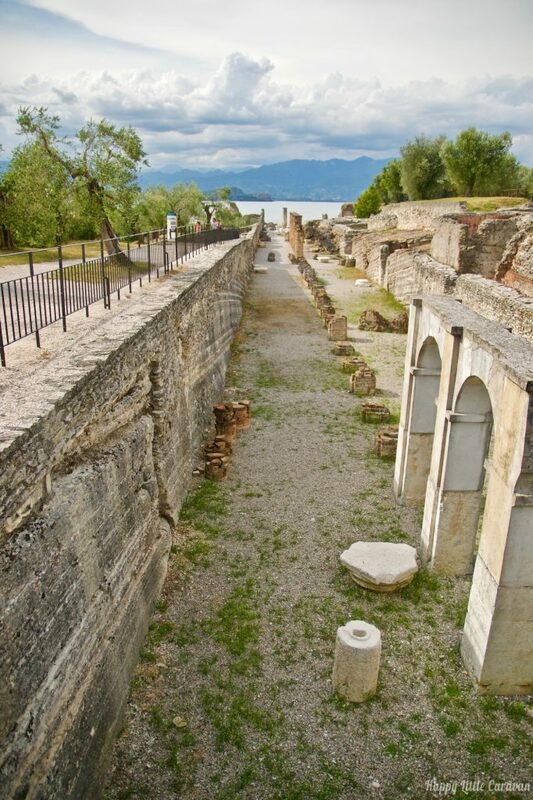 The Criptoportico is very shocking: a series of columns made for supporting the upper floor of the villa and following the natural slope of the cliff against the lake. The historical olive grove in the Catullo Caves is also beautiful: it was restored with a project around 20 years ago and now has more than 1500 olive trees all over the archaeological area. Since 2012, olives are harvested and used to produce an Extra-virgin oil (and I don’t even want to imagine how much it could coast, when sold…). For visiting the Catullo Caves, we recommend comfortable shoes for gravel, that makes the area unsuitable for buggies and wheelchairs. Daniele is a web designer, has created the site and takes care of its maintenance and all the technical and boring technical aspects. When he is not around for Italy, he works as an UX designer in a company that mainly deals with graphics and web development. He is passionate about sport fishing and camping trips as a child. 10 things you should never do on a caravan!